Plan your social and professional engagements within the sumptuous pages of our 2019 Leather Diaries. Each diary within our collection is handcrafted in our own workshops; bound in the finest leather and finished to the highest standards. Our day-per-page diaries provide ample room for busy schedules, whilst our smaller pocket styles are ideal to take with you wherever you go. 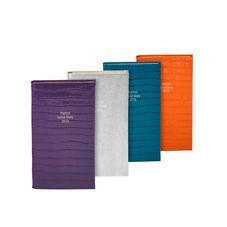 Discover an array of striking shades and allow Aspinal to enliven your events calendar with our unique Social Diary. 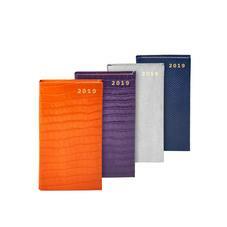 2019 Leather Diaries from Aspinal of London are individually handmade in England in our own workshops by genuine leather and bookbinding master craftsmen and women. Each leather pocket diary is made using only the best hand-dyed and hand waxed leather and age-old traditional bookbinding skills handed down through the generations. 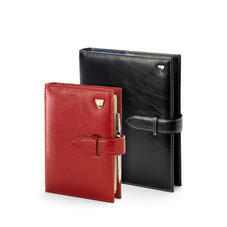 The Aspinal Leather Diary Collection is an essential accessory for yearlong style and organisation and perfectly sized for fitting in a briefcase, handbag or jacket pocket. 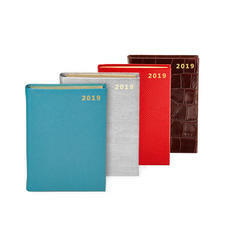 The range incorporates A4 and A5 diaries in a choice of Day per Page or Week to View formats and pocket diaries with pens, slim pocket diaries and mini pocket diaries, all available in many different beautiful colours and signature leather finishes. 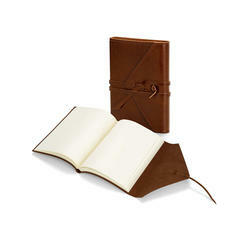 Even in this age of smart phones like the iPhone and BlackBerry, you still can't go wrong with a quality traditional leather bound diary. All of our Leather Pocket Diaries can be personalised with up to 4 initials and our A4, A5 & A6 Diaries can be personalised with one or two lines of text.